Will free sat nav apps kill off dedicated devices? 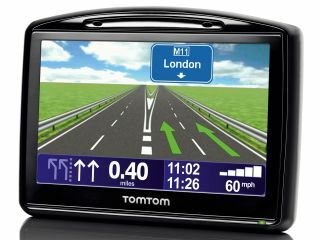 Do free mobile sat nav and mapping apps such as skobbler spell the end of the dedicated PND device market for established brands such as TomTom? Dedicated sat nav manufacturers are increasingly under threat from free and low-cost mobile navigation apps, with developers of new app Skobbler announcing this week that it has been downloaded 72,000 times since launch in the UK last month. Skobbler's free sat nav app for the iPhone, has actually proved more popular in the UK than in the company's native country, Germany, where it first launched a few months ago. Sat nav market under threat? "Skobbler was not the first to market with a free-to-use phone-based navigation solution in the UK" says Tim Shepherd, analyst with personal navigation device (PND) specialists Canalys, "with solutions from Nokia and Google arriving in January and April respectively. But there has not as yet been a credible, free solution for the iPhone in the UK. As such, Skobbler has the possibility of making a significant impact in the App Store. "Without a strong, established brand, this kind of application can only present a significant direct challenge to leading vendors such as TomTom and Navigon if its profile is raised high enough to create substantial market awareness; though having achieved 72,000 downloads in just three weeks, initial signs are promising." To put skobblers' 72000 downloads into some perspective, Canalys notes that a total of 266,000 dedicated sat nav devices (or PNDs) were shipped into the UK market in Q1 2010. Compared with those sat nav sales figures, skobbler's 3-week-volume is the equivalent of 27.1 per cent of all UK PND shipments in the first quarter of 2010. "We are only just getting started in the UK," says Marcus Thielking, co-founder of skobbler. "It's early days and to have experienced such success in such a short amount of time is quite overwhelming and encouraging. It demonstrates again just how popular mobile phone navigation is becoming. "We are over the moon that so many users have already embraced the community-driven collaborative OpenStreetMap project that our app is based on, and are very encouraged that the concept will continue to evolve into the future of sat nav", adds Thielking. With a new Google Android version of skobbler on the way this month, using community maps from OpenStreetMap (OSM), it clearly begs the question: "how long can dedicated sat nav manufacturers such as TomTom and Garmin survive?" However, before we are too quick to write off the market for dedicated sat nav devices, specialist analyst Tim Shepherd adds a word of caution, noting that, "map accuracy and reliability are big issues," adding that, "problematically, solutions based on open community maps cannot typically deliver the quality and accuracy of map data offered by the likes of Navteq and Tele Atlas in developed markets, backed by their large, professional, digital cartography teams and substantial investment. "Community maps will never be subjected to comparable levels of quality testing. As such, map data glitches and inaccuracies in solutions that depend on these maps will inevitably deliver an inferior user experience and offer less additional content and services around the core navigation experience than consumers have come to expect from a satellite navigation solution. That said, Shepherd is quick to add that established players in the sat nav market should not ignore such solutions. "For people who need navigation for only occasional or recreational use, an application such as Skobbler may well be enough for their needs. If these users find the experience to be a good one, then awareness spreads virally through word-of-mouth and positive online reviews and recommendations. Perhaps most importantly, for the UK consumer, the presence of free and ultra-low-cost solutions such as skobbler, "inevitably draws attention to the comparative expense of those from leading vendors ," such as TomTom's UK & Ireland app (currently £52.99). "In these ways, community maps based solutions like Skobbler have the potential to be disruptive," adds the PND industry analyst. "In a wider context, phone-based navigation solutions are inevitably coming increasingly into competition with dedicated portable navigation devices (PNDs). The presence of free phone-based navigation solutions does not inevitably sound a death knell for dedicated portable navigation devices (PNDs) in the UK. "There will always be consumers who will prefer to buy a dedicated device for navigation, that is ready to use with all the necessary in-car accessories out-of-the-box, and that offers a large screen and user interface designed and optimised specifically for in-car navigation use. "But as consumers in general become increasingly aware of phone-based navigation solutions as a free (or competitive) alternative to PNDs, and as the experience delivered by phone-based solutions and applications continues to improve with larger touch screens,, a growing number of consumers will undoubtedly opt to have navigation on their phone rather than buy a PND, or replace an old one. I do not expect the PND market to disappear in the foreseeable future, but I do anticipate a substantial decline in shipments over the coming quarters and years ahead."